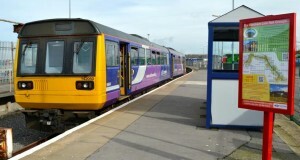 The station was opened as Heysham Harbour (hence its current station code) by the Midland Railway on 11 July 1904. It was relocated to an adjacent site on 4 May 1970, and served boat trains for Belfast until the closure of the ferry route in April 1975. 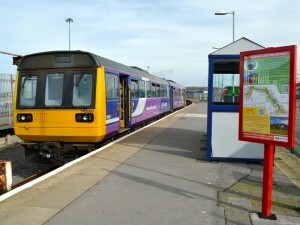 The train service was withdrawn on 6 October, but reinstated and the station renamed Heysham Sea Terminal, on 11 May 1987 to provide a rail connection with the daily sailing to Douglas run by the Isle of Man Steam Packet Company. The station acquired its present name on 28 September 1992. 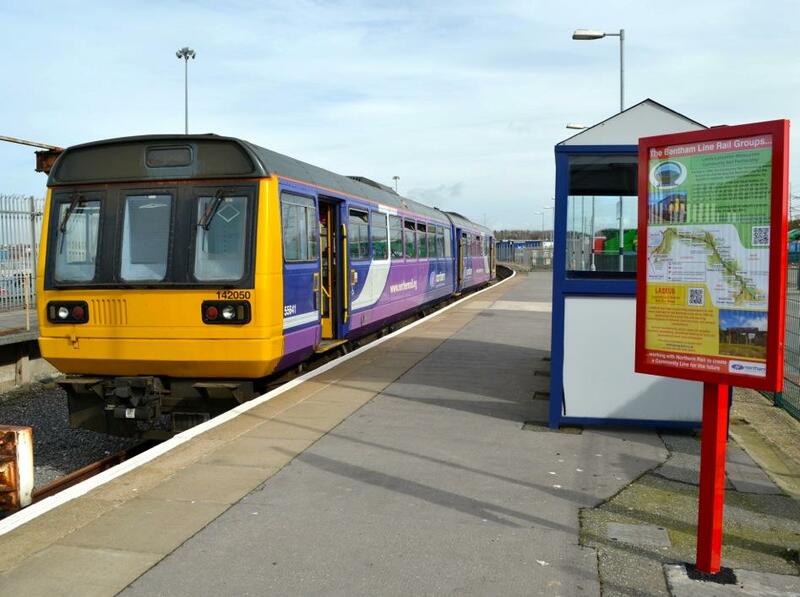 As constructed, the station had three platforms, two signal boxes and an extensive goods depot and associated sidings to service the port complex (which dates from 1904). It handled a wide range of freight for export including livestock, parcels and latterly fuel oil from a distribution terminal operated by Shell. None of these types of traffic have been handled here since the early 1980s – all freight through the port, mainly containers, is worked by road. SD 402600 – for a map visit www.streetmap.co.uk and enter the grid reference. St. Patrick’s Chapel – a ruined building standing on a headland above St. Peter’s Church. It has been designated as a Grade 1 listed building and is a Scheduled Ancient Monument.